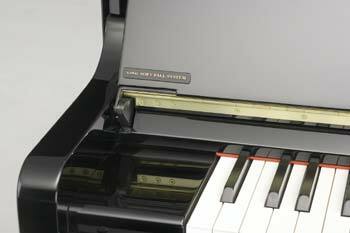 Most of our Grand Pianos now feature the Millennium III Action. This Action has been well accepted, as you can see from our success in many of the International Piano Competition throughout the world. 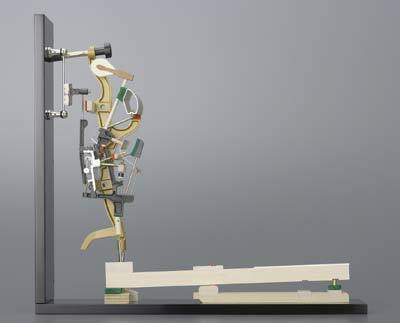 Next, our efforts were put into developing the Millennium III action for Upright Piano. The result is a strong, precise and powerfull action for the new "K-Series" models. The Millennium III Action features components made of ABS-Carbon, a new composite material created by the infusion of carbon into our existing ABS Styran. 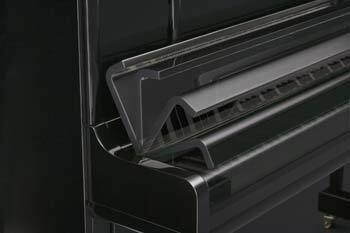 ABS-Carbon is incredibly sturdy and rigid, which allowed Kawai to make the action parts lighter without sacrificing strength. The lighter design makes the Millennium III Action tremendously fast and effortless for the player. The repetition and responsiveness are superb. Every exacting detail of the action was exhaustively analysed to meet the stringent demands of the skilled pianist. One prime example of this effort was the addition of a microscopic surface texture on the jack at the point where it meets the hammer. The result of this subtle but important change is a dramatic increase in control during pianissimo playing. 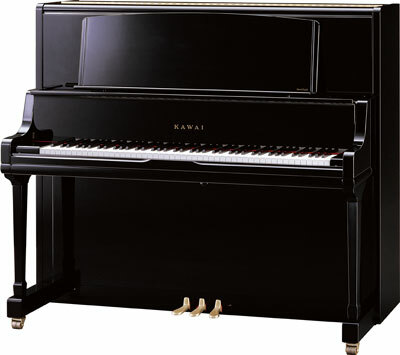 To bring out more elegance to the pianos, a new design has been made. Notice the details of the pianos and realise the new wooden design elements. Wood is used to bring out the extra shine to the pianos. Also new shapes for the edges and many more construction details have been changed compared to the previous models. - New Brass Casters (all models). For K-3, 5, 6, 8 models, there will be double casters. "We care about our world". We have changed the weight used in keys from lead to iron. Boosts volume and improves tonal projection. The openings are inserted in the upper and lower panel. 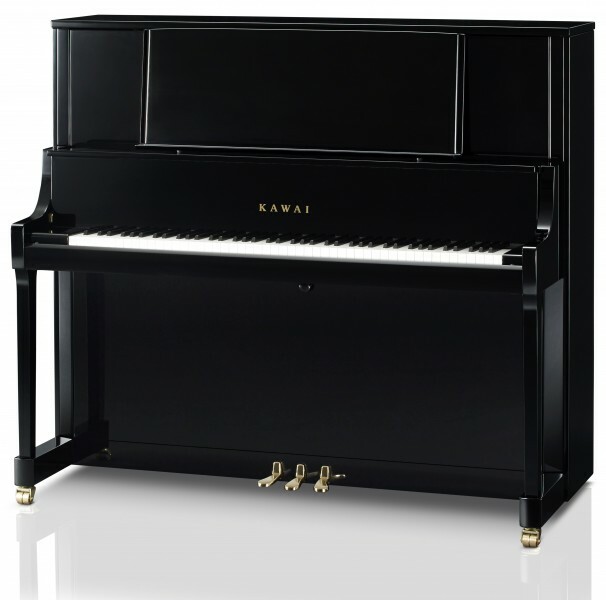 The new K-Series is an innovative change from Kawai. This new K-Series will not be just a succeeding model to that of K-18, 25, 50, 60, 80, but a "Full Model Change".